Complete your furniture renovation project with authentically reproduced bail pulls. Our solid single post brass bail pulls and bail pull drawer handles are available in a wide variety of historically accurate patterns and finishes. Our authentic, hand-applied antique finish distinguishes this versatile horizontal drawer pull. The charming ivy leaf and rosette design makes a delightful addition to your vintage dresser or cabinet. It’s manufactured with stamped sheet brass with a solid-cast handle. This versatile, horizontal drawer pull, with its charming ivy leaf and rosette design, makes a delightful addition to your vintage dresser or cabinet. 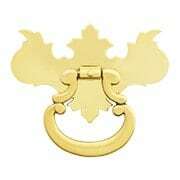 It’s made of stamped brass with a solid-cast handle for durability. 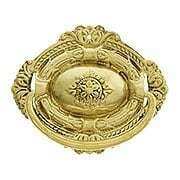 This finely crafted oval drawer pull is adorned with a graceful center rosette. 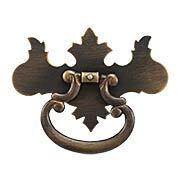 Traditional styling in stamped brass is reinforced with a cast handle for durability. Our exclusive Antique by-Hand finish ages gracefully over time into a beautiful natural patina. 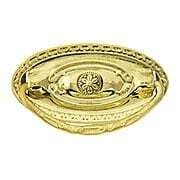 This finely crafted oval drawer pull is adorned with a graceful center rosette. 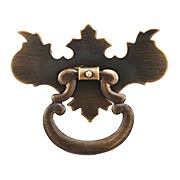 Traditional styling in stamped brass is reinforced with a cast handle for durability. 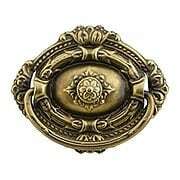 Elegant Victorian style is embodied in this exquisite oval drawer pull with our hand-applied antique finish. 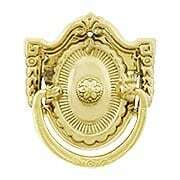 The finely detailed floral and rope motif is captured in traditional stamped brass. Mounted at center. 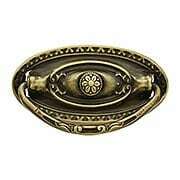 Elegant Victorian style is embodied in this exquisite oval drawer pull. The finely detailed floral and rope motif is captured in traditional stamped sheet brass. Mounted at center. 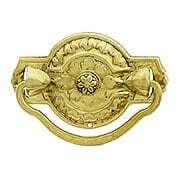 Elegant classical style is embodied in this exquisite drawer pull. The finely detailed floral and rope motif is captured in traditional steel-stamped sheet brass, and hand-finished with our exclusive antique patina. 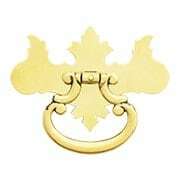 Elegant classical style is embodied in this exquisite drawer pull. 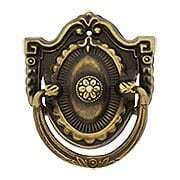 The finely detailed floral and rope motif is captured in traditional steel-stamped sheet brass. This fine reproduction of a late 18th-century style, our Small Chippendale Single-Post Brass Pull (2 1/2-Inch Width) is a beautiful enhancement for drawers and cabinets alike. Cut from sheets of solid brass, it is ideal for new furniture, or as a replacement for a worn or damaged piece. It features a smooth, elegant handle for a pleasant feel, and the sturdy back plate will stand up to years of repeated use. This fine reproduction of a late 18th-century style, our Small Chippendale Single-Post Brass Pull (2 1/2-Inch Width) is a beautiful enhancement for drawers and cabinets alike. Cut from sheets of solid brass, it is ideal for new furniture, or as a replacement for a worn or damaged piece. It features a smooth, elegant handle for a pleasant feel, and the sturdy back plate will stand up to years of repeated use. Presented in our exclusive Antique-by-Hand finish, it ages gracefully over time into a beautiful natural patina. This fine reproduction of a late 18th-century style, our Small Chippendale Single-Post Brass Pull (3-Inch Width) is a beautiful enhancement for drawers and cabinets alike. Cut from sheets of solid brass, it is ideal for new furniture, or as a replacement for a worn or damaged piece. It features a smooth, elegant handle for a pleasant feel, and the sturdy back plate will stand up to years of repeated use. This fine reproduction of a late 18th-century style, our Large Chippendale Single-Post Brass Pull (3-Inch Width) is a beautiful enhancement for drawers and cabinets alike. Cut from sheets of solid brass, it is ideal for new furniture, or as a replacement for a worn or damaged piece. It features a smooth, elegant handle for a pleasant feel, and the sturdy back plate will stand up to years of repeated use. Presented in our exclusive Antique-by-Hand finish, it ages gracefully over time into a beautiful natural patina.